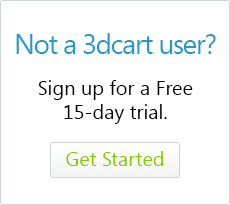 You can set up your 3dcart shop to accept orders going to US military shipping addresses. To do this, you would need to specify the appropriate APO "States" in your US Shipping Country specifications. Under "More Options" click on the link labeled "Country List" to view your store's selected countries. Look for the United States and click on the "Action -> Check States" to the right of the listing. This will add these three APO options to the States drop down on the Checkout process, allowing customers from these military locations to place orders on your site. Remember that you also need to have Shipping and Payment options enabled for customers from these addresses. Please be aware that of the various shipping carriers, APO and FPO shipping addresses are primarily only recognized by USPS. Therefore, your FedEx and UPS methods may not work correctly with these types of addresses. Please check with your carrier service for more information.